Here is a link to an article that recently appeared in The New York Times; we thought it would be helpful for you to read this article. The problem that exists in our drinking water has now become a global problem. First Step: This is why the sale of Carico's water filtration systems have been in huge demand. Our water filtration systems are NSF certified. Our ceramic water filter cartridge is capable of stopping items in the water as small as 0.2 microns, which is 500 times smaller in size than a single strain of human hair. Ecoli, salmonella, giardia lamblia cysts, cryptosporidium are water borne diseases that are found in many municipally treated water, as well as, in well water. Keep in mind that chlorine and other disinfectants used by the water treatment facility in your area do not address bacteria. This is in part why there are boil water alerts, until such time as the bacteria is flushed through the water pipe network. But this raises questions, such as, how much water did someone consume before they knew of a boil water alert? Even after hearing of the boil water alert and not drinking the water, did the person flush the water from the won pipes in his/her home or from the refrigerator water line or ice maker line? Remember, inexpensive "carbon only water filters" cannot stop bacteria and, in most cases, they become a breeding ground for more bacteria to thrive in. With Carico's ceramic, the porosity of the ceramic is smaller in size than the bacteria and, therefore, stops the bacteria from coming into the cartridge. 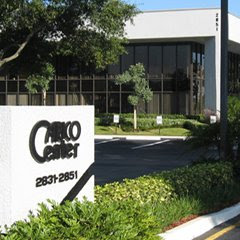 Second Step: Carico's Full Spectrum water filter cartridges use an equivalent of 300,000 square yards of media. This is similar in size to 60 football or soccer playing fields. We use a "compressed coconut shell based carbon" for all our filters. Our Full Spectrum cartridge is a more expensive carbon, but a finer quality water remains after the water filters through it. Third Step: Our ultra filtering stage contains a special compressed blend of coconut shell carbon designed to remove any possible remaining contaminants. Chemicals are more prevalent in our drinking water. Chemicals from manufacturing plants, automobile and agriculture run off, and pharmaceutical drugs that are flushed from our body end up in our town’s water supply. Even the formation of rain clouds can move contaminants from one country to the next and from one city to the next. Older cities’ water pipe networks are causing contaminants to be picked up after the water leaves the municipality treatment plant enroute to your home. Our water filter is very effective at absorbing any of the dissolved chemicals that are in your water supply. Bottled water is usually not more than just tap water that has been filtered mainly to remove larger particles, which in most cases does not address bacteria. Water bottles are made of plastic and plastic is made from chemicals. Many of these chemicals leach into the water that is in the plastic bottle. Studies document that water inside a plastic bottle may develop bacteria and other harmful contaminants. As the bottled water is shipped in containers via ships, trucks and/or trains from the manufacturing site to a store, the water bottles reach high temperatures due to the heat, thus posing more bottled water problems. If you spend only $1.00 a day buying bottle water, you would spend more in a few years than what you would spend on a Carico water filter! The savings from not buying bottle water will actually pay for a Carico water Filter! My carico water filter works great. I even installed one in my office.